The waiting is over and the real hard work of preparing to extract the oil that is buried hundreds of metres beneath the rocks of the Albertine Graben in Western Uganda is set to begin next year. Initial estimates indicate that some 13, 000 high-paying direct jobs will be created in the coming four years as companies build the infrastructure ahead of first oil expected in 2020. Experts in the field however warn that the oil sector is a not a mass employer. Indeed, apart from a couple of thousands of jobs that are likely to come during the peak period of construction, expected to take place in the coming five years, the production period creates very few jobs and mostly in the technical fields such as engineering to support oil production, pipeline maintenance and probably in the refinery, if Uganda succeeds in building one. That notwithstanding, the anticipated 13,000 direct jobs that are expected to be created and an additional 130,000 indirect or induced jobs that will be generated in peripheral supporting industries such as farming, transportation, logistics, legal services, insurance can not be ignored. In fact the government emphasised employment creation as key aspect of the National Oil and Gas Policy which outlines Uganda’s vision as an oil producing nation. But a 2014 report of the Industrial Baseline Survey that was carried out by Oil companies in collaboration with the private sector, revealed serious man power gaps including those for vocations such as drivers, craftsmen and welders. Executives from the Joint Venture Partner companies Tullow, Total and CNOOC called for certification of Ugandan workers (for about 5,500 jobs) so as to meet the high standards of the oil and gas sector. Three years since the study was concluded, little has been done by both the government and Ugandans to build the required labour needs of the industry. Tony Okao-Otoa, Total’s Coordinator for Corporate Affairs, revealed that the man power gaps still exist. Okao-Otoa said: “There are serious manpower gaps in this country. But the project will have to go ahead,” an implication that the contracting companies may have to rely on foreign workers to be able to meet their manpower targets. Whereas government has taken some steps to train Ugandans in technical fields at different institutions such as the Uganda Petroleum Institute Kigumba (UPIK), Makerere, Kyambogo and Busitema, as well as in Trinidad and Tobago, many of the graduates still do not meet standards of the oil and gas sector. According to Patrick Mbonye, the Managing Director of Q-Sourcing, one of the reputable companies that hire workers for the Oil and Gas industry, the major challenge faced by majority of Ugandan professionals is their lack of certification for their qualifications. Mbonye however decries what he termed as negative attitudes by some Ugandans to attain the high standard requirements for jobs in the oil sector including certification. “There is a group of people in Katwe who we are currently working with. 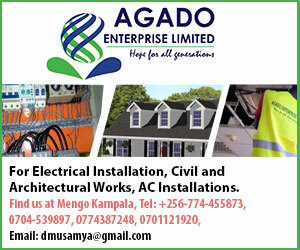 They received a grant of USD 2000 from donors to study Codded welding and were required to pay an additional USD 400 but they are reluctant to top up the money,” remarked Mbonye. “And sadly, this is the attitude of many of our youth,” adds Mbonye. His views were shared by Veronica Namwanje the Deputy Executive Director of the Uganda Small Scale industries Association (USSIA). While the IBS study called for the establishment of a National Talent register, its development is taking longer than anticipated, considering that major construction works are scheduled to start early next year. According to Dr. Earnest Rubondo, the Executive Director of the Petroleum Authority of Uganda (PAU), the National Talent register is being developed by the China National Offshore Oil Corporation (CNOOC). Recruiting firms will only be allowed to bring foreign workers if they fail to find the necessary qualified personnel in the register. And yet getting the accreditation from internationally recognised institutions such as City and Guilds or the Offshore Petroleum Industry Training Organisations does not take years or first-class school. For example, vocational schools as humble as St. Stevens Vocational Training centre in Hoima, have managed to train and organise City and Guilds certification for their students. Ninety (90) graduates of St. Stevens have attained certain levels of City and Guilds certification and 200 more are expected to achieve the same, according to energy ministry officials. 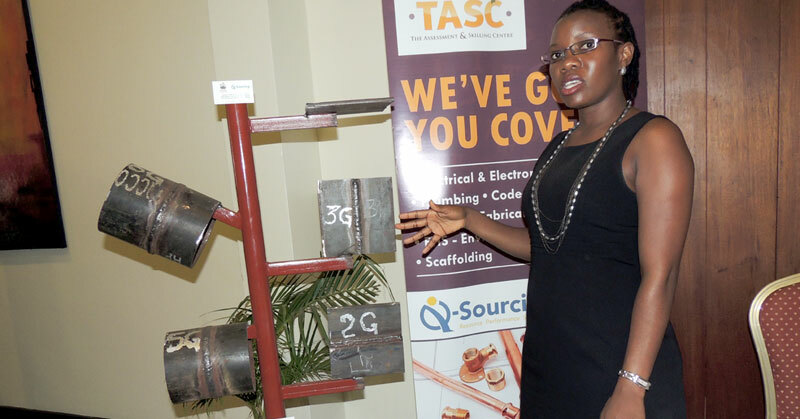 In Uganda, Q-sourcing conducts competence tests for a number of internationally recognised accreditation agencies like City and Guilds, the Offshore Petroleum Industry Training Organisations (OPITO), the American Welding Society, American Society of Mechanical Engineers, South Africa’s National Occupational Health and Safety Consultants for Health and Safety certification of individuals and companies. And Mbonye, points out that for those interested in securing the technical jobs, it is still not too late. “It requires some money to train to the level required by the oil and gas sector. But once one has attained the qualification, the opportunities are boundless,” said Mbonye, who noted that some young people who were given internationally accredited certifications and were laid off by oil companies when activity slowed down, almost all managed to get jobs at Karuma hydro-power dam currently under construction. Experts in the industry argue that only smart investment of a country’s oil revenues can guarantee meaningful and lasting employment creation as opposed to focusing on the direct and largely short term jobs in the oil and gas sector. But Bagabo goes a step further to argue that ultimately, greater benefit to the economy is derived from meaningful investment of oil revenues to sectors that support majority of the population. “Durable jobs are created not by the oil sector but rather when the whole economy is productive, when the oil revenues are invested wisely in sectors that support majority of the population,” argues Ramathan Ggoobi, an Economics lecturer from Makerere University Business School. Initial estimates indicate that at current prices, total revenues from sale of oil, taxes and royalties will bring into national coffers over US$ 1 billion on average per year. This represents a substantial infusion of cash into Uganda’s budget of about US$8 (2016/17). But evidence across most of Africa’s oil-producing countries reveals that such lump sum inflows of cash from oil and other minerals has been mismanaged by serving governments leaving behind a trail of economic collapse, environmental destruction, yawning income inequalities, food shortages and political instability. In fact, one or a combination of those ills have affected all the top oil producing countries in Africa in the recent few years. I.e Nigeria, Angola, Egypt, Algeria and Libya. In Uganda, the latest revelations of alleged misuse of oil revenues, even before the country starts to sell the commodity has raised fears that Uganda may not escape the oil curse or economic and political turmoil that has befallen other African countries. The allegations of misuse of oil revenues, in what has been baptised as the Presidential Handshake bonuses in which government awarded Ushs6billion to 42 mostly senior public servants, and is being investigated by Parliament, has left many truly worried about the future when more money begins to flow from oil sales and taxation. The concern of many Ugandans is compounded by the fact that the bonuses were awarded in contravention of Uganda’s laws, ethical principles as well as international best practices to which Uganda claims to adhere. The Inspector General of Government Irene Mulyagonja testified in Parliament recently that the award of bonuses was illegal. Most importantly, perhaps, Mulyagonja remarked that the the scandal consumed nearly all the people who are mandated to advise government on matters of law. If Uganda does not change course to pursue disciplined management of the oil resource, its is evident, not only will jobs be imperilled, but so will be other aspects of life for millions of Ugandans present and in the future.